The world’s population is aging. This aging population is also living a lot longer. In fact, by 2050 16% of the world’s population will be 65 years of age and older. The number of people aged 85 and over will also increase by 351% while the number of people aged 65 and over will increase by 188%. Many of the increased elderly will inevitably suffer from chronic diseases. Currently 4 out of 5 elderly people in the United States have multiple chronic medical conditions and 60% of people aged 67 or older have 3 or more chronic illnesses. This aging population, and the increase of chronic illnesses, will increase the need for professional and high quality nurses. This is why 1.12 million nurses are anticipated to be needed for new jobs or replacement between 2012 and 2022. These nurses will need to be highly skilled and able to work in a variety of potential settings. In the past nurses have typically been viewed as subordinates without a need for leadership skills or capabilities. They were not expected to be leaders in the healthcare field and this lowered the respect and expectations associated with the position. Luckily times have changed. In today’s world nurses are viewed as important healthcare partners and are increasingly involved in the leadership of dynamic healthcare teams. They are being required to take on new responsibilities, and also remain up to date with the advancements in medical technology and the constantly evolving healthcare trends. They are expected to be extremely competent and participate in a high level of education like the cutting edge programs being offered. Most importantly the next generation of nurses will be expected to take a hands-on role as competent leaders in the healthcare field. Transactional leaders ensure staff compliance through a system of punishments and rewards. Every interaction is based on a transaction. When a person follows instructions and obtains an objective, they receive a reward. When they fail to follow an instruction or meet an objective, they are disciplined. When practicing this style of leadership there is a high priority on supervision. This can be a very effective style for managing a crisis or ensuring that projects are completed with a high level of detail. Transformational leaders tend to lead by example. When followers see this example, they are inspired to change or do better. Transformational leaders also demonstrate that they truly care about their followers and their best interests. They accomplish this by putting the needs and priorities of the organization above their own. They have a clear vision and they use that vision to motivate their staff members. Innovation is embraced and people are encouraged to generate new ideas. This can be a very effective style for managing teams that need to implement a significant change. These leaders encourage everyone on the team to have a voice in the decision making process. There is a focus on open communication and ensuring that everyone feels like they are heard. There is a lot of focus on processes and the best way to influence situations. Staff members are empowered with responsibilities and held accountable for meeting goals. This style requires a lot of feedback and can be very effective when the quality of organizational systems or processes need to be improved. This can best be described as the opposite of democratic leadership. With this style the leader makes all of the decisions which results in a much faster decision making process. The power is retained at the top and that is also where the knowledge and information is kept. Staff members are often made an example of, if they make a mistake and are punished in front of their peers. Issues are always assumed to be the fault of the individual staff member and never the system or process. This style can be effective in emergencies where immediate decisions need to be made. When this style is practiced there is very little supervision. There is a very hands-off approach. People are trusted to do well on their own with very little guidance. Independent thinking is promoted, but it can stall the decision making process and result in few changes being made in the workplace. There is little attention to quality improvement. This style can be effective when you are dealing with an experienced team who require little direction. However, it is commonly practiced by inexperienced leaders and leaders who are just waiting to transition. 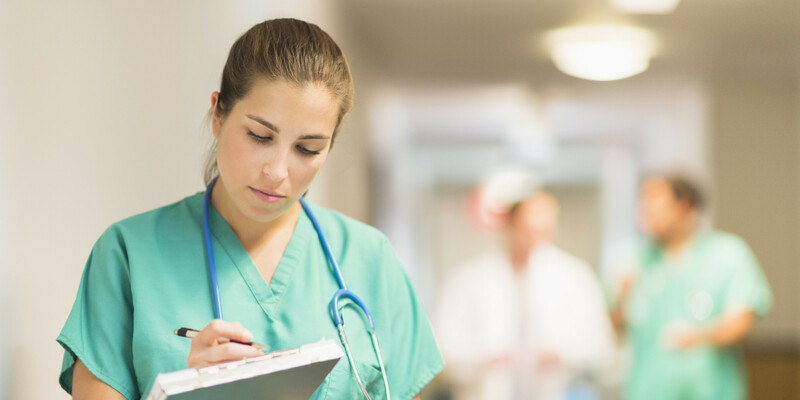 There have been many studies that have evaluated how the leadership styles of nurses affect patient outcomes. For example, studies have found that the practice of transformational leadership by nurses is associated with reduced medication errors. This is believed to be because people are more careful when being led with this approach. Studies have also shown that this style produces lower patient mortality rates due to a better quality of care and treatment. Studies continue to prove that relational types of leadership, styles which include transformation and collaboration, result in a higher level of patient satisfaction. In other words, patients report that they are happier when nurses practice these styles. This reduces the need for restraint and increases the level of patient cooperation. Studies have also shown that transformational leadership plays an important role in creating a safe and happy work environment. Hospitals that practice this style of leadership have a lower level of turnover when compared to other hospitals. When a laissez-faire style of leadership is used on the other hand, studies have shown that it negatively impacts teamwork and socialization. This creates a culture where blame is prevalent and stress in increased. Turnover is ultimately increased. Nurses are also able to easily tell the difference between transactional and transformational leadership. They are overwhelmingly in favor of the transformational style. They cite intrinsic motivation and improved job satisfaction as the main reasons behind this choice. The world is changing and a new generation of nurses is needed to help meet the demand of the evolving healthcare community. These nurses are expected to take on a leadership role within the hospital making their knowledge of effective leadership styles critical. They should know the strengths and weaknesses of the styles and when is the best time to implement each one. This should be based on their knowledge of the situation and each style’s effect on patient outcomes. This will help to ensure that all patients receive the optimal level of care as we continue to confront the challenges of our new healthcare realities.